I finally picked up the Real Techniques Travel Essentials set from Walmart. It has been on shopping list for a while now, but it took me a while to get around to it. The main reason being that there was only one brush in the set that I wanted. This brush set is supposed to be the perfect kit for traveling. Three brushes to create a flawless finish, from your eyes to your complexion. Like all Real Techniques brushes, these are made of 100% cruelty-free synthetic bristles. 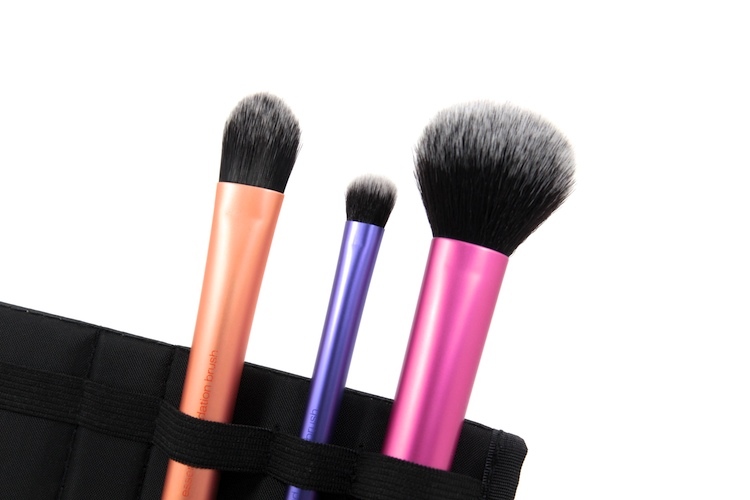 All these brushes come with a sleek aluminum handle. They also have a rubberized end, which I love / hate. After a while, I find it has a tendency to peel. I prefer the look of the handles in these sets than the individuals. I don't like how the individual brushes jut out at the end. A paddle-shaped brush for liquid foundation. I don't find this brush very useful. I have used it a couple of times, but I don't reach for it often. The few times that I did use it, it was for blending out concealer. 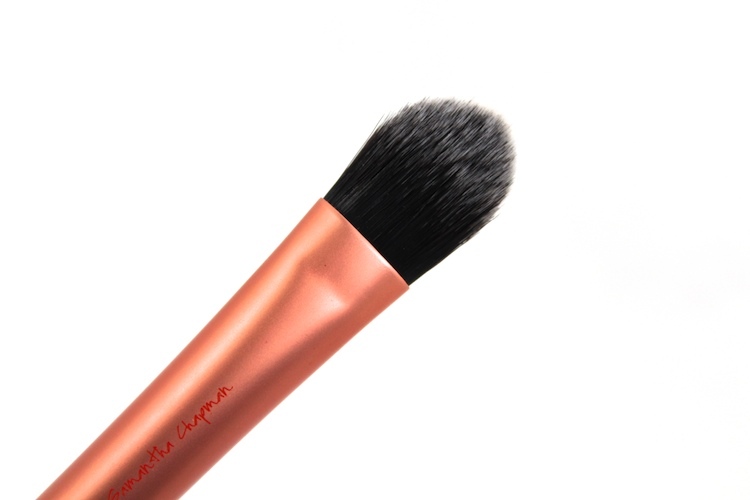 It's a bit bigger & thicker than the Pointed Foundation brush from the Core Collection. A medium-sized flat brush that is slightly tapered. I've used this much more than I thought I would. It's great for patting product on the lid. I've even turned the brush on its side to slap / blend product on the crease. This brush is everything I had hoped for. It really is wonderful for multi-tasking. 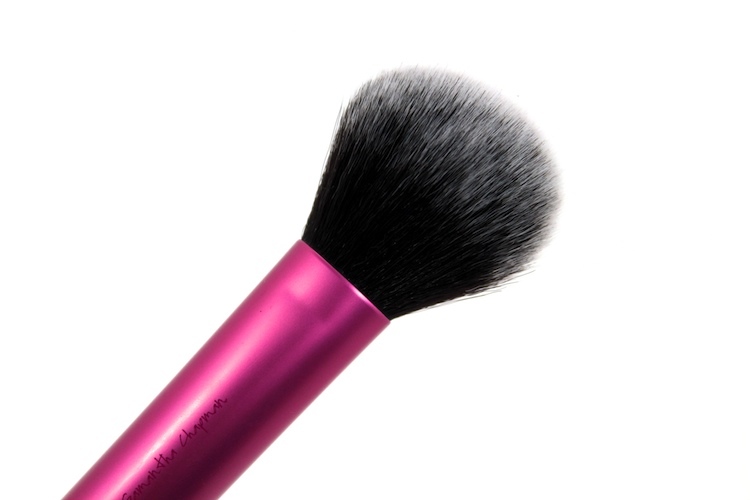 It's a fluffy flat-ish It's great for blush, bronzer, powder, and even a little highlighter. It is especially great for cheek products. It is now my favourite brush to keep in my makeup bag. If this brush was available individually, I would definitely buy another. It's a great travel set, although, if I were being realistic... I would probably swap out the foundation brush for the RT Buffing brush. I'd also throw in the RT Contour brush for good measure. At any rate, I'd definitely recommend this set. Even if it's just for the Multi-Task brush. It's now a new favourite of mine. I love their brushes! Ive been especially fond of the expert face brush recently. 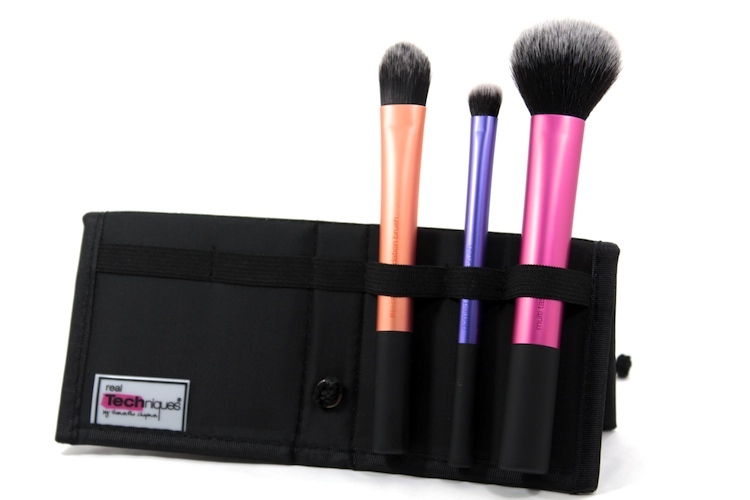 I've been debating picking up this set for the same reasons, I only want the Multi-Task brush. I know I'll eventually cave and pick it up! Just checking If I should Buy this brush set... I have two of the sets but just wondering if this would be worth it? 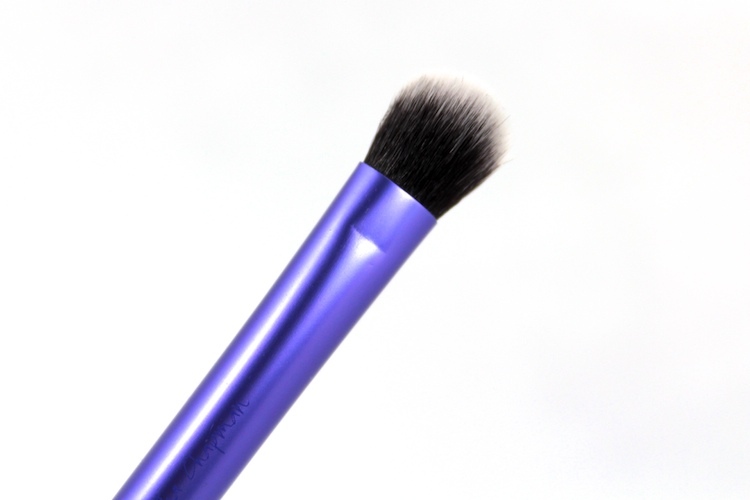 I have heard alot of people raving about the multitask brush but is it worth paying £20 for since I know I wouldn't use the foundation brush but not to sure about the dome brush probably not since I hardly apply eyeshadow.